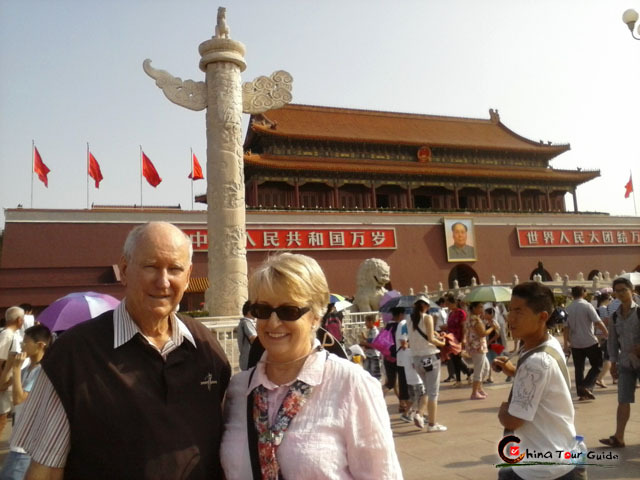 Marvel at the ancient imperial cities Beijing and Xi'an - Forbidden City, Mutianyu Great Wall, Terracotta Warriors. 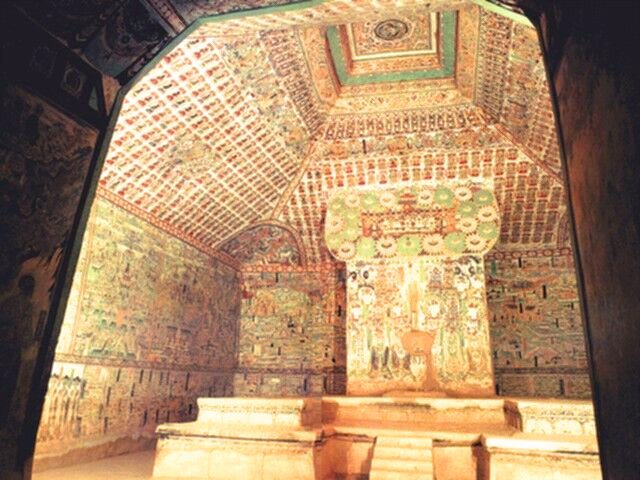 Enjoy the amazing fresco art in lots of grottoes - Mogao Grottos, Tombs of Jin and Wei Dynasties, Binglingsi Temple Grottoes . 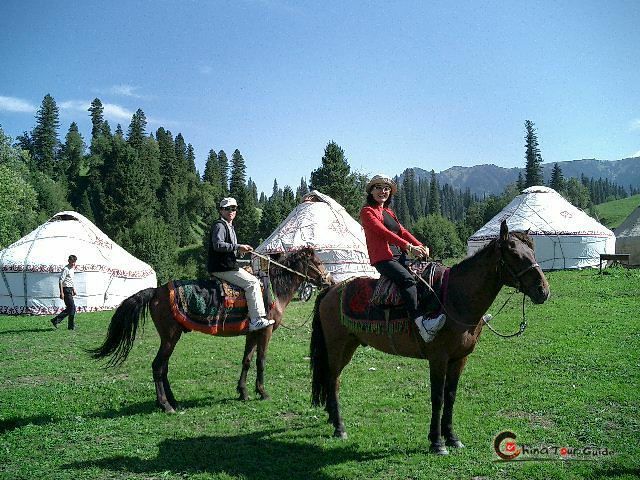 Experience Urgur & Tibetan ethnic custom and life - International Grand Bazzar, Grapes Valley and Labrang Monastery. 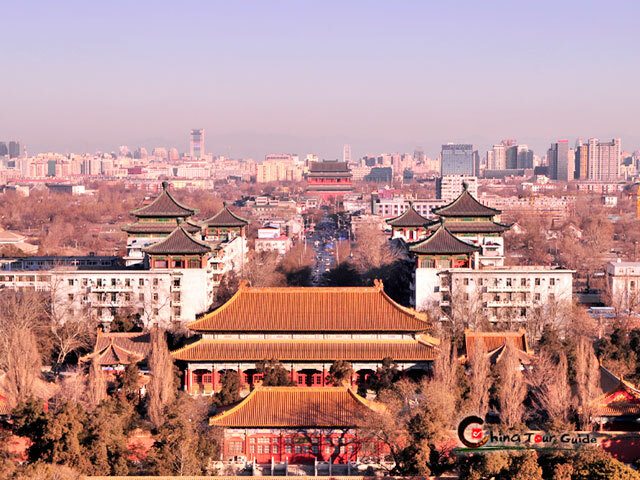 Today's Activities You’ll start your Beijing tour with Tian'anmen Square, the largest square globally which is adorned with all kinds of Chinese elements like jade stone bridges, moats, monuments and ornamental columns. Later start exploring Forbidden City. 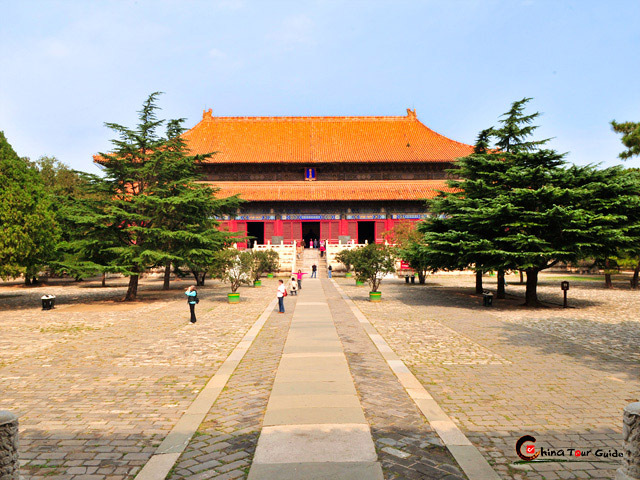 The largest and best-preserved imperial palace in China. You’ll be shown around several main halls like the Hall of Supreme Harmony. Have a good view of the emperor’s chair, sculpture of mythical beasts, eave decoration and the like, you can touch many interesting details of the ancient Chinese royal life. 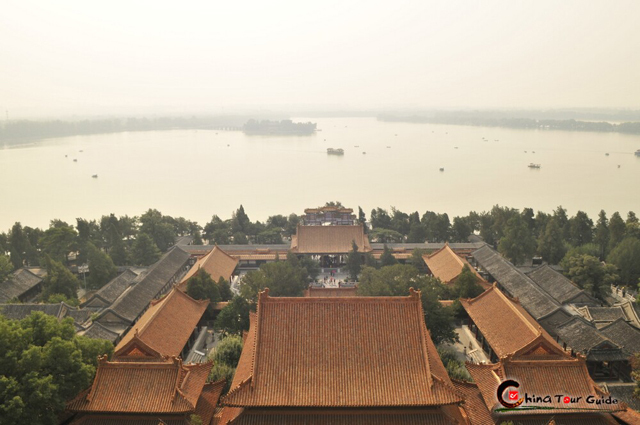 Go on to tour Summer Palace, the royal garden. 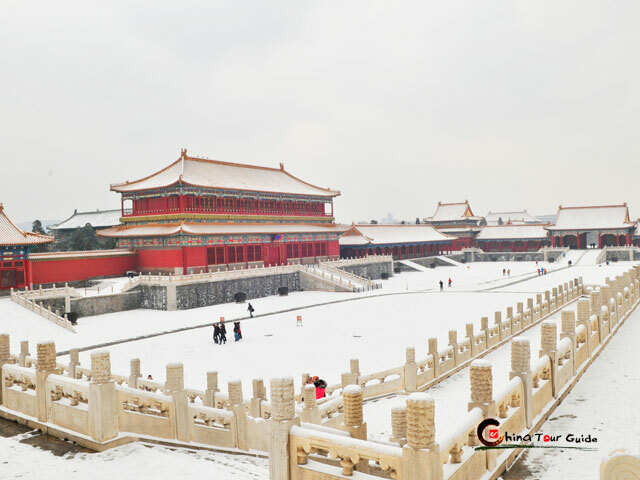 You can keenly feel the imperial grandeur while touring the 728-meter-long painting-rich corridor, Seventeen-Hole Bridge, Foxiang Hall, etc. 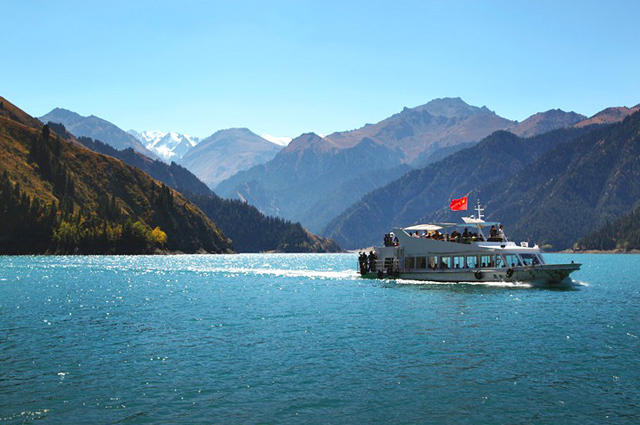 The trip includes an exciting cruise on Kunming lake. 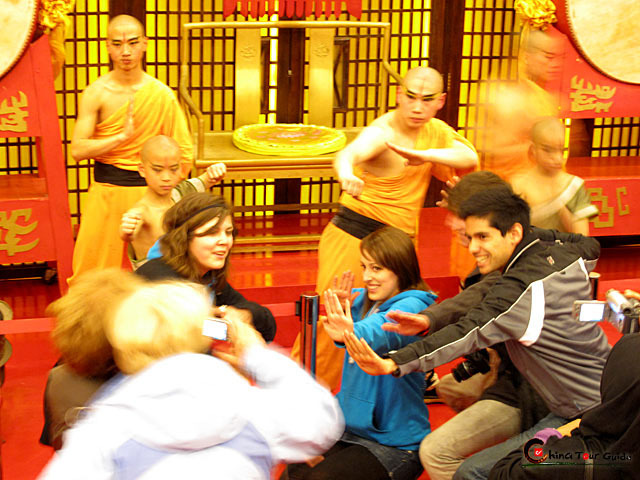 Extend your thrill to the night by appreciating Chinese Kung Fu Show! A closer look at this marvelous Chinese martial art rather than see it on TV will surely win your wow! You can further take photos with the performers after the show. 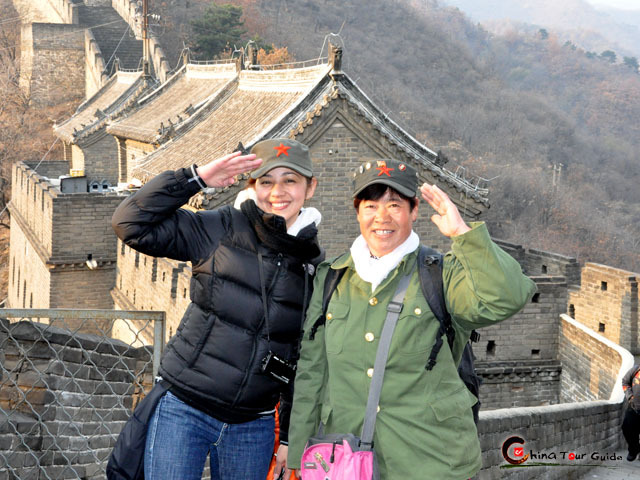 Begin an excursion to the Mutianyu Great Wall. 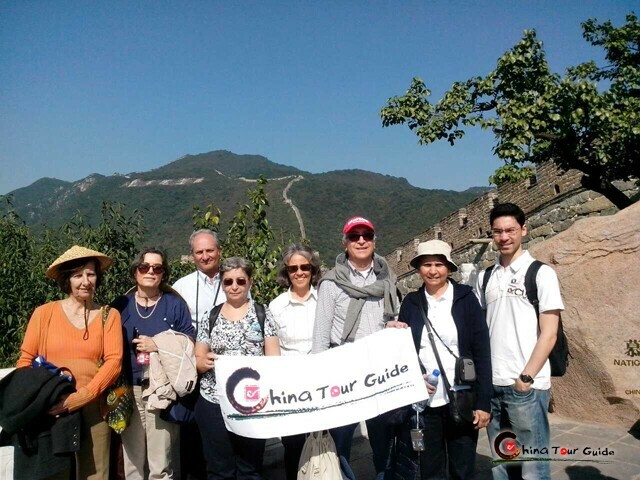 By roundtrip cable car you can feast on this vital section of the world famous China Great Wall. 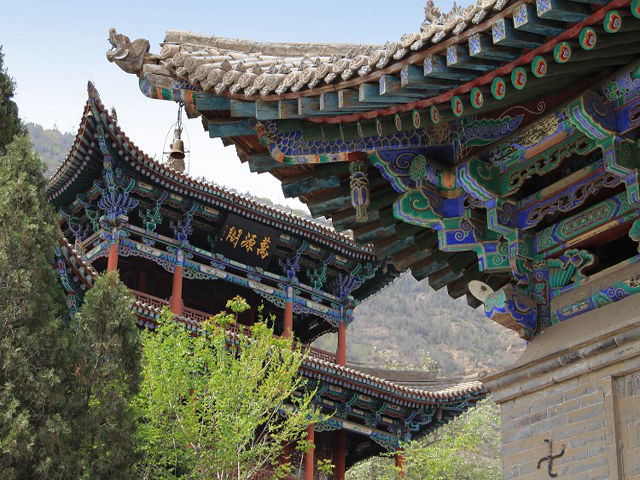 The over-1,400-year-old Mutianyu not only boasts a surprisingly long history of over 1400 year but sports a special structure of three watchtowers on end. Today's Activities Look up at Temple of Heaven where the Emperor of the Ming and Qing dynasties(1368-1911) would worship heaven and pray for good harvests around the kingdom. Here you would have an eye-opening understanding of Oriental architectural aesthetics and the deeply rooted awe of heaven in ancient Chinese. You may have chance to see the locals doing morning exercise, playing Tai-chi or sword. 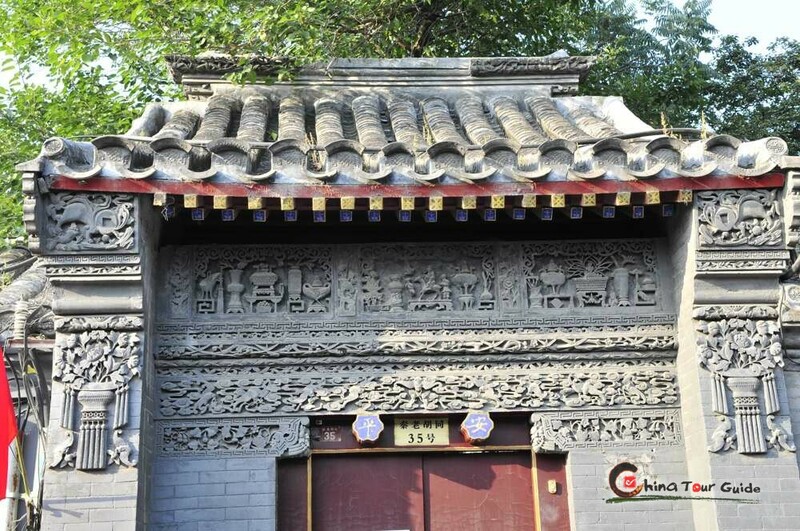 Next distract your attention to the populace culture that hide itself in the Hutong. 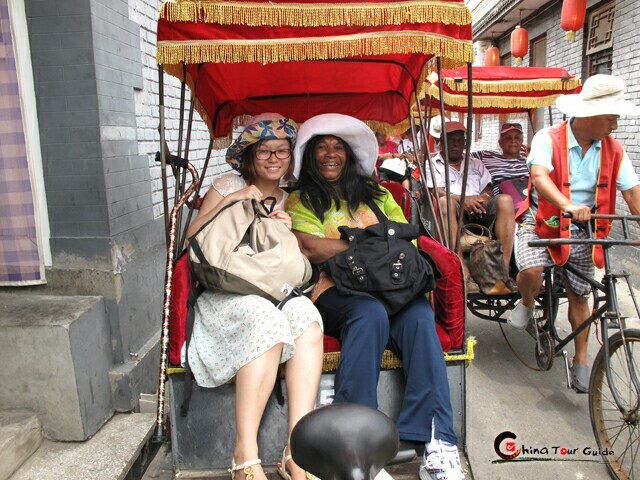 Taking a rickshaw tour through these narrow alleyways, you’ll be impressed with the simple happy kids, the old enjoying their leisure time under the tree, exquisite old quadrangles, delicious sugared plums and all kinds of Beijing snacks at roadside peddlers. 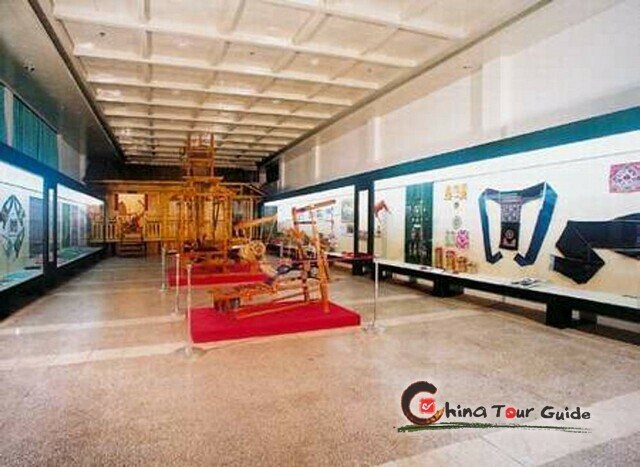 Today's Activities Have an eye-opening tour at Xinjiang Museum, which is built in a modern style enhanced by local architectural features, famous for its rich collections of artifacts to demonstrate Xinjiang's significance throughout the period of Silk Road. 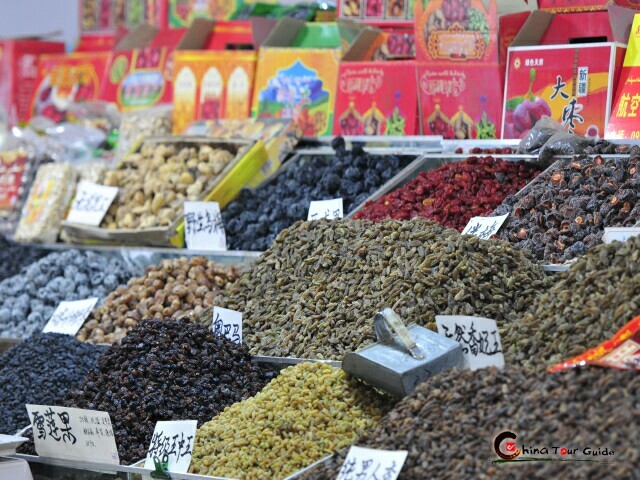 Then experience the lively Urumqi lifestyle at the International Grand Bazaar. It shows gorgeous Muslim architectural art, all kinds of ethnic food and souvenirs. Overlook the Urumqi cityscape on top of Red Hill. 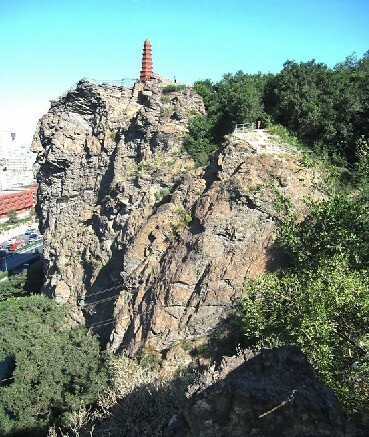 The 910-meter-high hill is the emblem of Urumqi, owing to its uniqueness-the body of the mountain, made up of aubergine rock, has a reddish brown color, hence the name; featuring a spectacular part of the Urumqi cityscape. Explore the prairie lifestyle at Southern Tianshan Rangeland, a beautiful and fertile pasture located at the southern side of Tianshan Mountains. Scattered are the pastoral Kazakh tents; pasture animals and livestock. 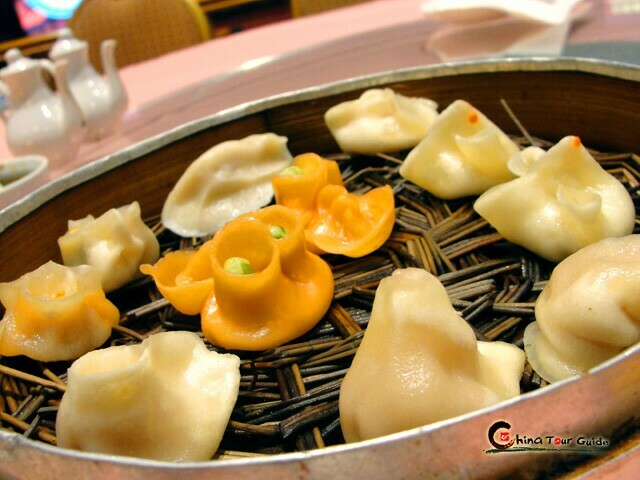 Drive back to downtown Urumqi and stay overnight. 1. 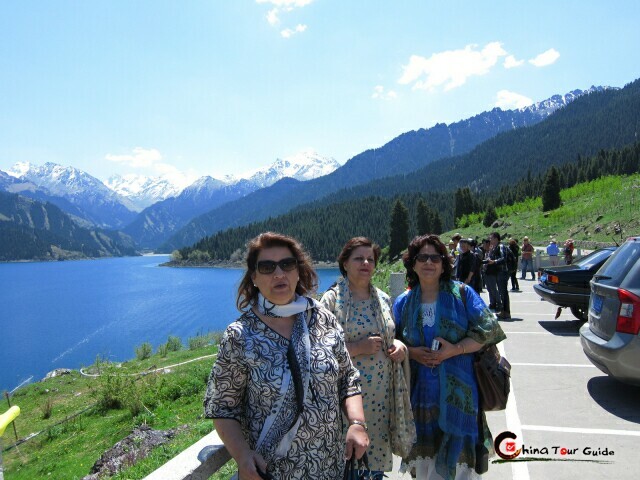 Daily range of temperature around Heavenly Lake can reach 10-15 degree, and therefore remember to bring warm coats or sweaters to keep yourself off coldness. 2. Concerning strong ultraviolet ray around the spot, you'd better prepare adequate sun blocks. Meanwhile, drink and heat-relieving dissolvent should be with you in case of thirst and even sunstroke. 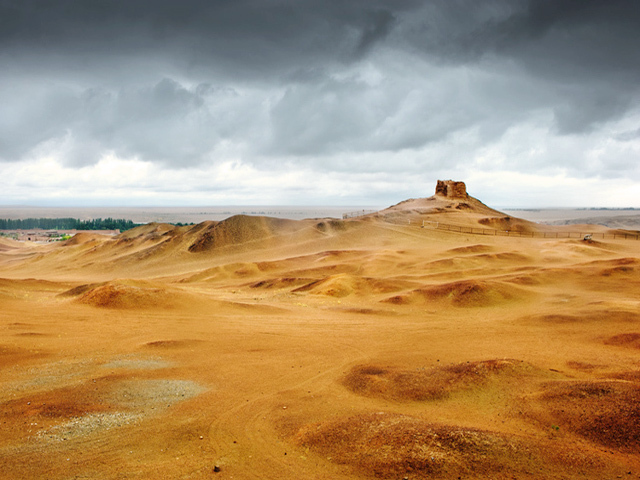 Take the morning flight to Kashgar. Discover the magnificent Id Kah Mosque. 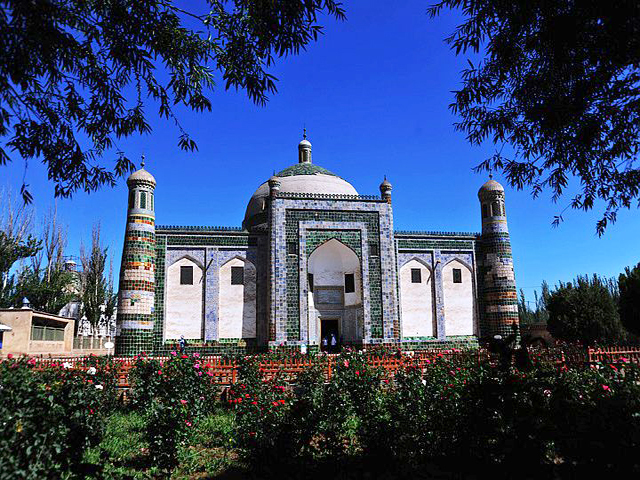 It's the largest of its kind in Xinjiang and also the center for the Islamic activities of the entire Xinjiang region. On special days or festivals, you can find different kinds of performances of singing and dancing by professional Uygur actors in shining Uygur costumes. Next stop is the Abakh Hoja Tomb, which features ancient Islamic building design. At Sunday Bazzar you'll be excited by the novel local products and animated form of stock-exchange that still keeps flourishing along Silk Road. 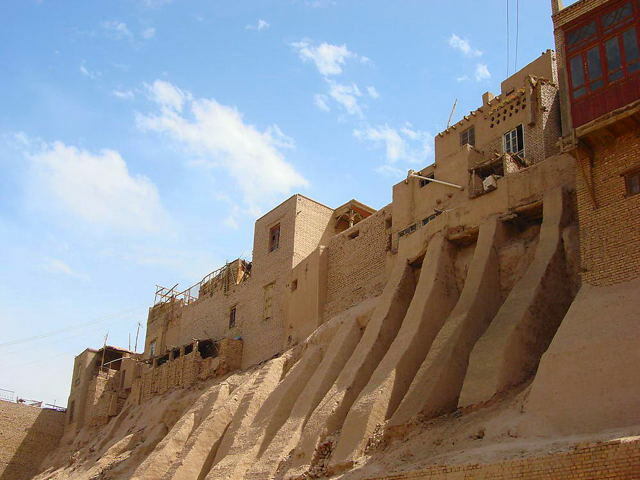 Afterwards, Old Town of Kashgar will stretch itself like a scroll of panorama of Kashgar folklore before you. 1. Don't walk right by the pilgrims doing service. 2. Don't take photo in the preaching hall of Id Kah Mosque. 3. Don't bargain with the sellers at the bazzar if you don't plan to buy their products. 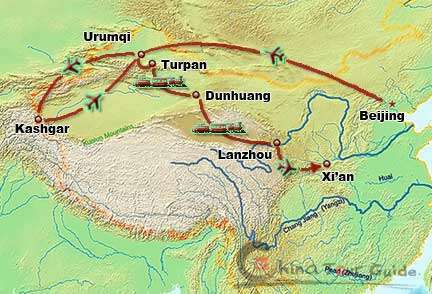 Today's Activities Take the mornight flight to Urumqi and transfer to Turpan by car. Check in at the downtown hotel in Turpan and spend the rest of the day as you like. 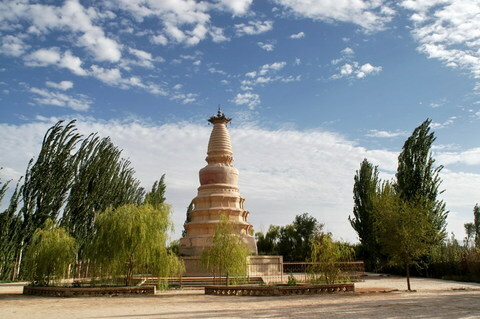 Visit the Emin Pagoda, an elegant and circular Muslim pagoda built in 1778 in honor of a great Turpan general, Emin Khoja, and his great contribution to the unification of China. Then tour Grapes Valley, the delicate green paradise covered with layer upon layer of grapes. 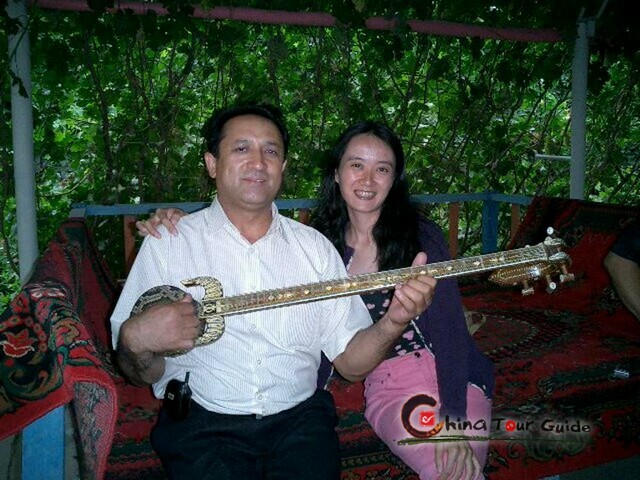 It’s most pleasant to taste the sweet Turpan grapes and enjoy local singing and dancing performance. In addition, an ancient Chinese archaeological site - Jiaohe Ancient Ruins – is waiting for your exploration. It was built with rammed earth and bricks 2300 years ago. Proceed to Karez System. Karez System, the crystallization of ancient people's diligence and intelligence, is connected by underground channels, which takes full advantage of the unique region. 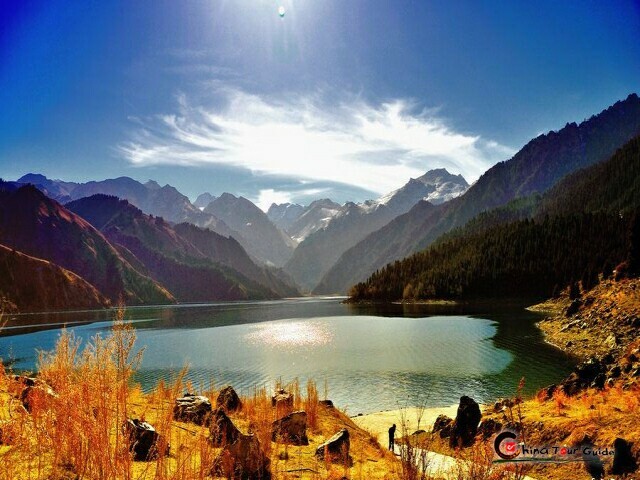 It is the life source of Turpan. Go on to visit the Astana Graves, which served mainly as the cemetery of the descendents of Chinese settlers in Goachang in the past. 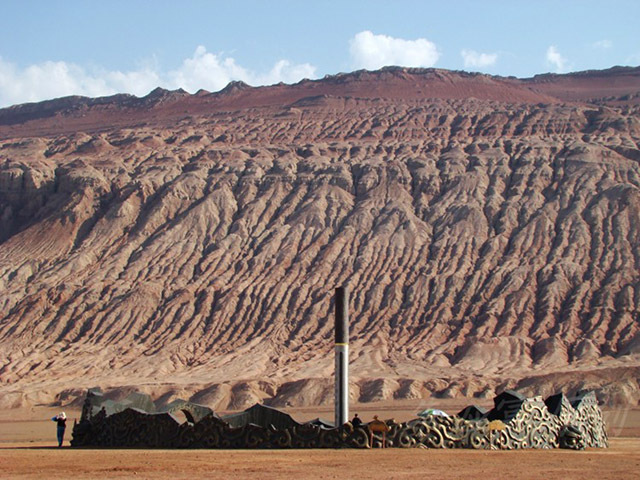 View the wonderful Flaming Mountains from afar. 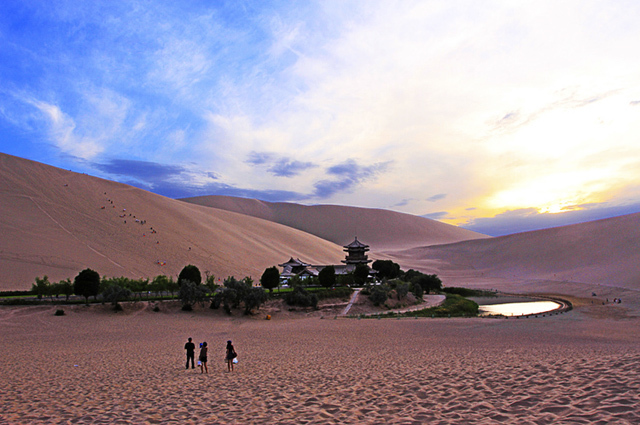 After the sightseeings, you'll be transferred to the train station for an overnight train to Dunhuang. 1.Pay attention to your way of dressing. Brace skirts, mini skirts and slippers are not welcome in Emin Pagoda. 2. Avoid visiting the ruins at noon as it can get rather hot. You'd better bring water with you. 3. Photo taking is prohibited inside the graves. 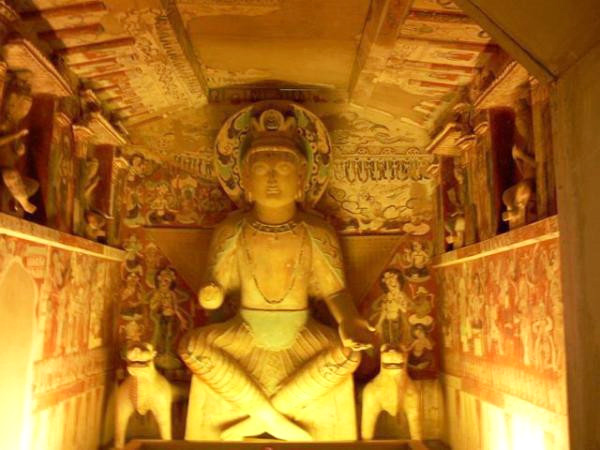 Start your Dunhuang Tour with visiting Mogao Grottos, the home to some of the most amazing ancient Buddhist cave art in existence and the glorious World Heritage. The millions of flying Apsaras all over the interior grottos will tell you how far the imagination of the ancient painters can go. The Mingsha Mountain and Crescene Moon Spring will highlight today's tour. You can take in an incredible view of the green oasis surrounded by an endless desert landscape. It's great fun to look at your reflection at the crystal clear crescent-shape spring and listen to the roaring sound of wind, which is echoed by the interesting mountain. 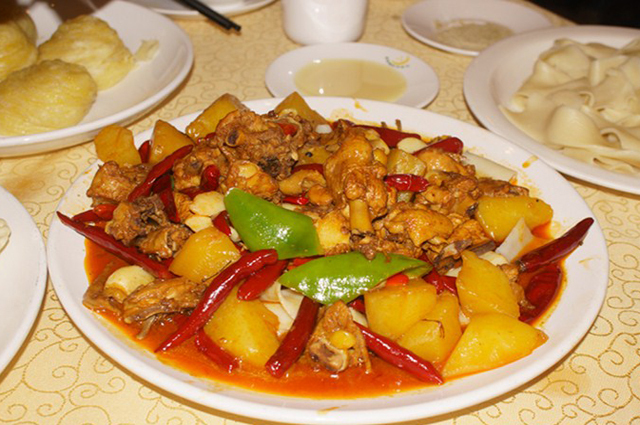 Drive back to the downtown Dunhuang and spend a Dunhuang night at your hotel. Today is about two extremely important passes on the ancient Silk Road. 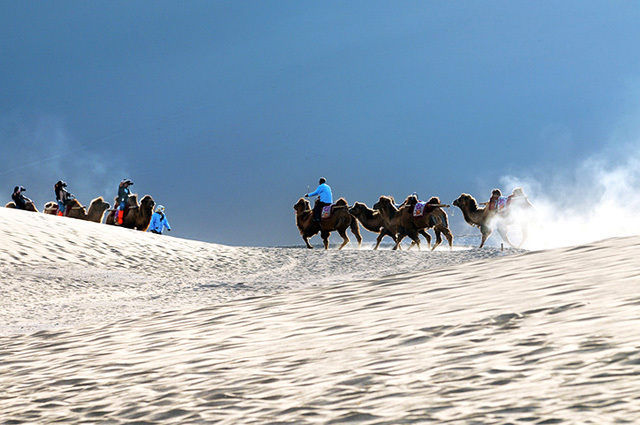 First let's go visit Yanguan Pass, which was protecting Dunhuang from invasion in ancient times; the pass offers a glimpse of the grandeur of the past. 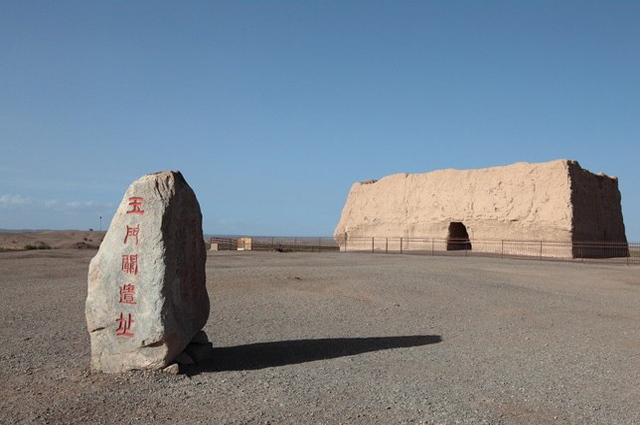 The Yumenguan Pass served as an important military pass and a vital route on the Silk Road—treasured jade was transported to China through it. Now it's still standing as a landmark nowadays to guide the exploration for deep and wild China. Drive back to the downtown Dunhuang. 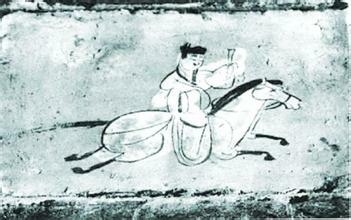 Explore more secrets of Dunhuang today. The first stop is the interesting Song dynasty-Immitating Sand City . It's located right in the middle of the Desert about 25km southwest of Dunhuang, a huge movie set made to resemble the Song Dynasty city of Dunhuang. 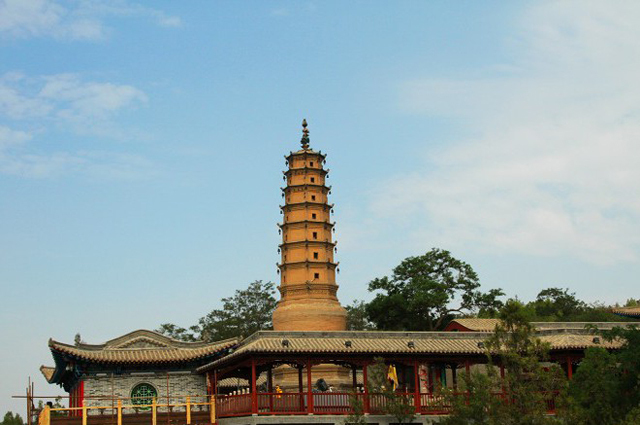 Proceed to visit the over-1,600-year-old White Horse Tower, which was built in memory of the dead horse that once the eminent monk Kumarajiva rid to China to preach Buddhism. 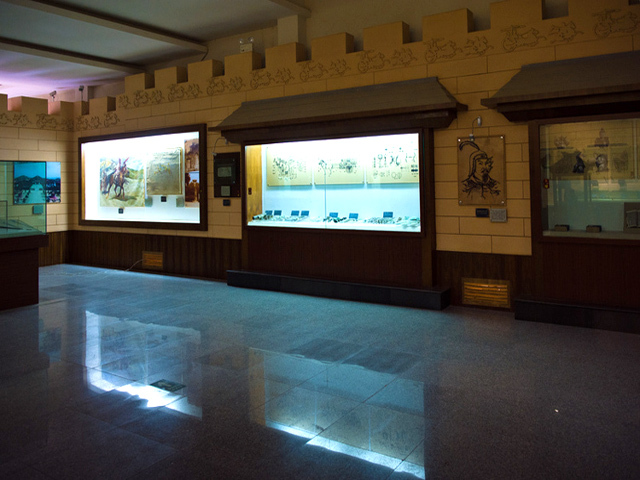 Pay a visit to Dunhuang Museum, which reflects the flourishing social development and cultural exchange between China and the West during the time when Dunhuang was a major center along the Silk Road; offering keen insight to the Silk Road civilization. Extend the Buddhist art exploration at Thousands Buddha Cave. 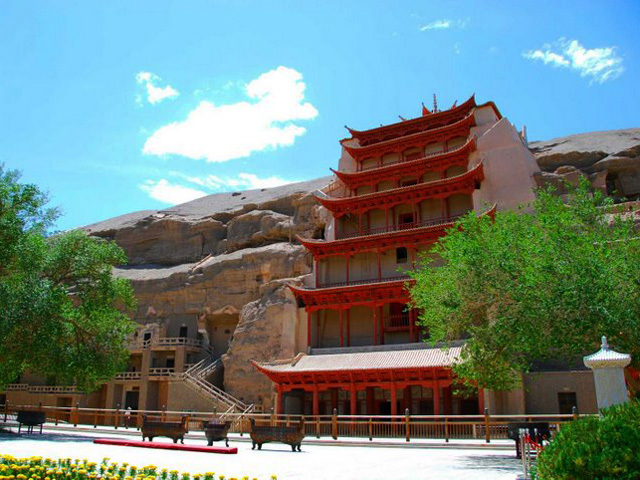 It's situated to the west of Mogao Caves; the two are closely related, sharing similar architectural structure and painting themes; ranking among the finest sources of Buddhist art in China. Drive to Jiayuguan after breakfast. 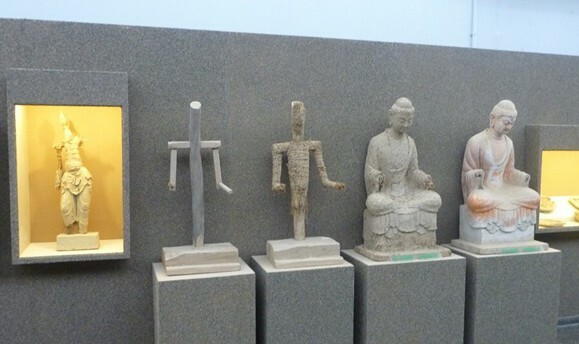 En route, visit the Qiaowan Ancient City, where you can find treasured statues made from ivory, human-skin-made drum, and the exhibition of animals and plants specimens from the natural reserve of the extremely dry desert area. 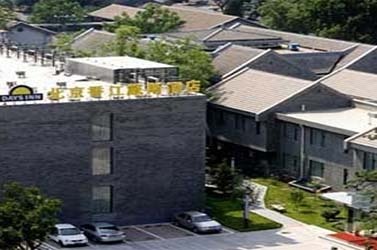 Also pay a visit to the Qiaowan Museum next to Qiaowan Ancient City, a museum by highway, displaying specimens of wild animals and plants, dried-up corpse and and over 80 valuable cultural relics,. 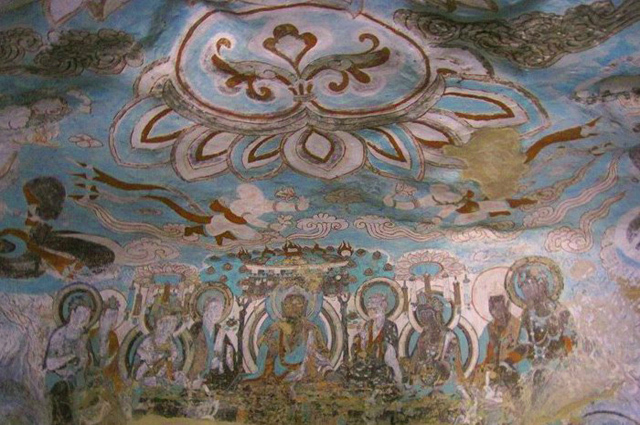 Tour Tombs of Jin and Wei Dynasties, which is known as the largest underground painting gallery in the world since the brick walls of the tombs are filled with fresco describing vividly the life of people lived along the Silk Road. Then go appreciate Jiayuguan Pass . It is the most western end of the Great Wall and well preserved with majestic buildings. 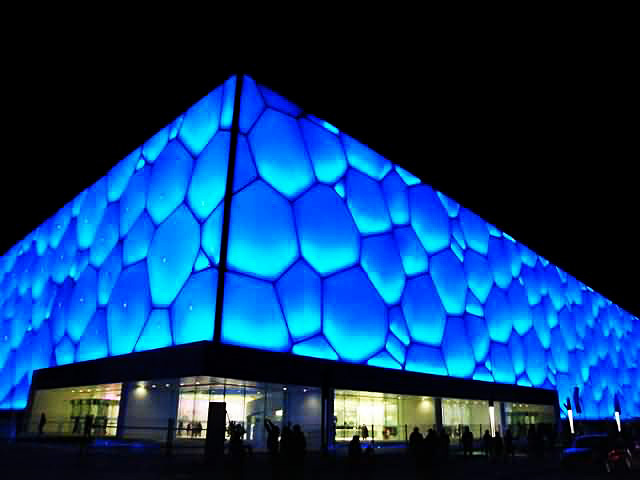 Its architectural complex is magnificently exquisite. The towers and pavilions enjoys a classic beauty and grandeur with their roofs upturned at the end of the ridges. 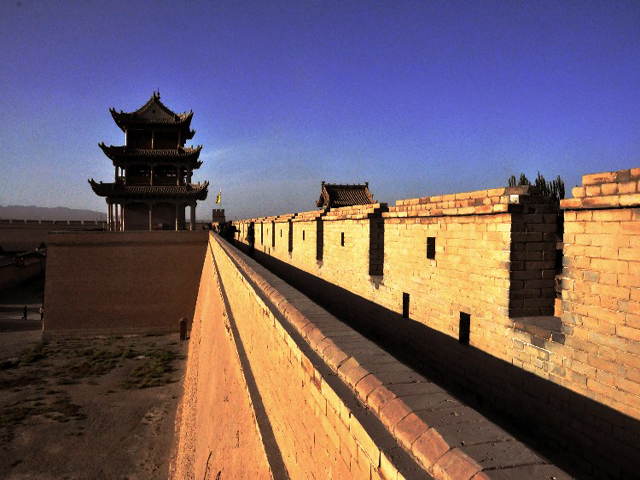 Overhanging Great Wall is an extended part of the Jiayuguan Pass, winding through the Gobi dessert to a steep mountain. The wall seems to hang over the cliff, hence its name. Later of the day, take a overnight train to Lanzhou. 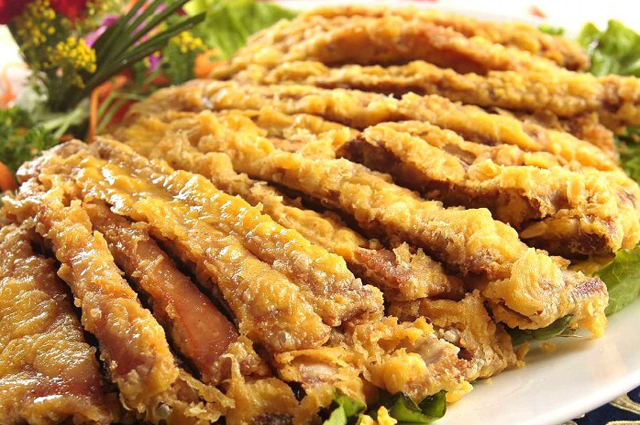 Drive to Liujiaxia Reservior, Yongjing County and go past the overwater stone forest by yacht. 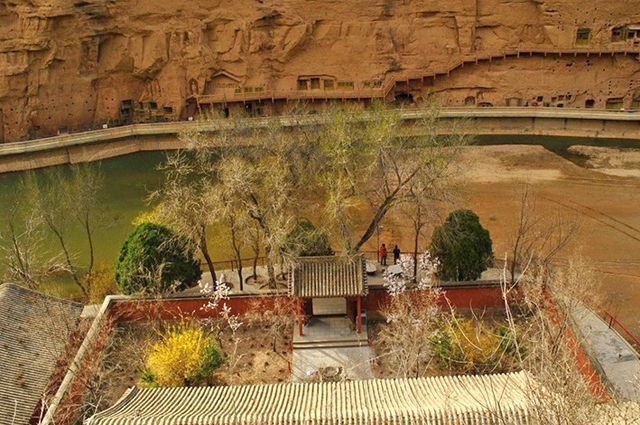 Get ashore at the dock and Binglingsi Temple Grottoes are in front of you. 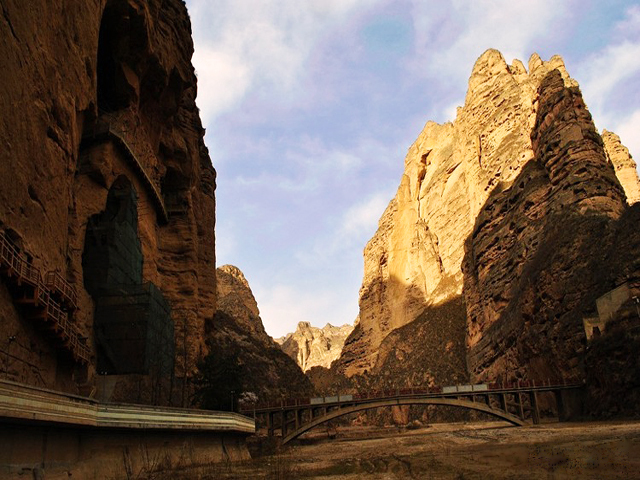 The grottoes, one of the three biggest in Gansu Province, belong to the oldest caves in China, despite their age, they still contain many well preserved Buddhism statues and murals. Unlike other grottoes, these were carved against the sharp cliffs that look down at the roaring Yellow River. Therefore you will see a complex of human wisdom and natural work. Drive back to Lanzhou in the afternoon. Drive to Xiahe for visiting Labrang Monastery. Overnight in Xiahe. Labrang Monastery is home to the largest number of monks outside of Tibet. 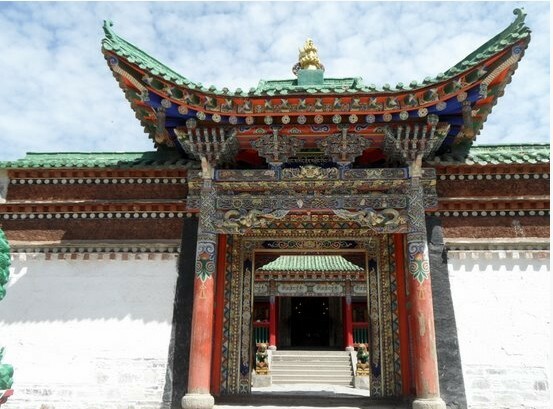 The white walls and golden roofs of the monastery complex feature a blend of Tibetan and Han architectural styles. The monastery contains 18 halls, six institutes of learning, a golden stupa, a sutra debate area, and houses nearly 60,000 sutras. Drive back to Lanzhou in the morning. Visit White Pagoda Hill Park. The 17-storey pagoda, standing on top of the 1,553-meter-high mountain, provides a spectacular overview of the Yellow River, the bridge and other Lanzhou landscape. Then turn to the Five Springs Mountain Park for the amazing 5-mouth spring and the large-scale Buddhist complex. Transfer to the airport for your flight to Xian. 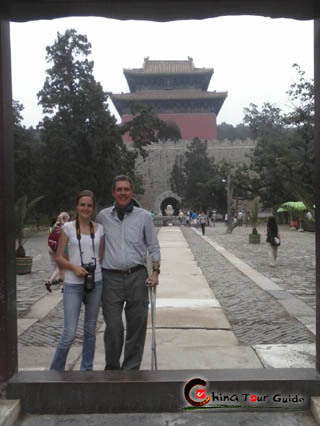 Picked up and escorted to the hotel in Xian, and then visit Bell Tower. Built in 1384 A.D, the Bell Tower boasts a history of over 600 years. 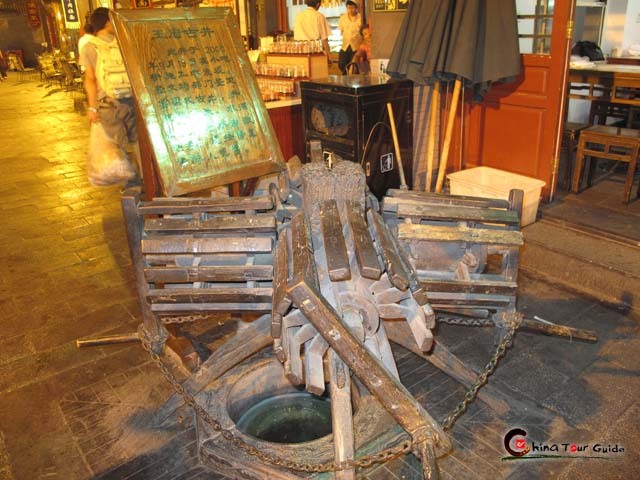 Even today you can find the Big Iron Bell erecting in the Bell Tower, which was made in Ming Dynasty, 2,500 kilograms in weight. 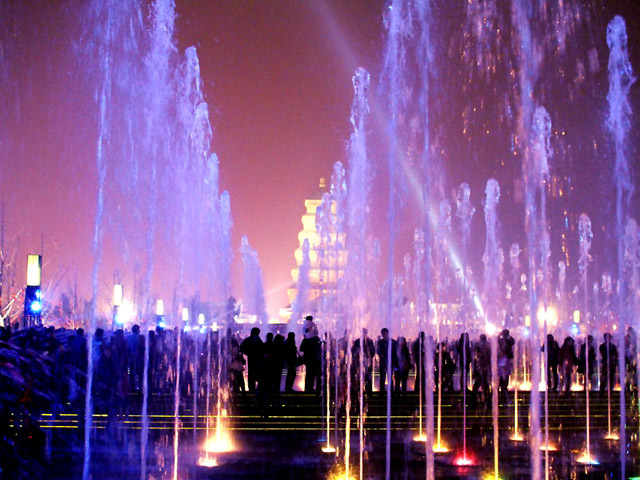 Then stroll at the Ancient City Wall, and you can have a panoramic view of Xi'an City. 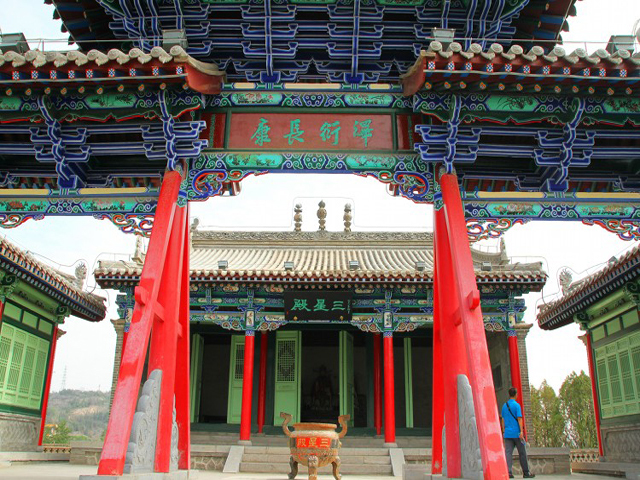 Then move to the Great Mosque, which features a great mixed architecture of Chinese and Muslim styles. You may happen to meet with some Muslim followers coming for worship. 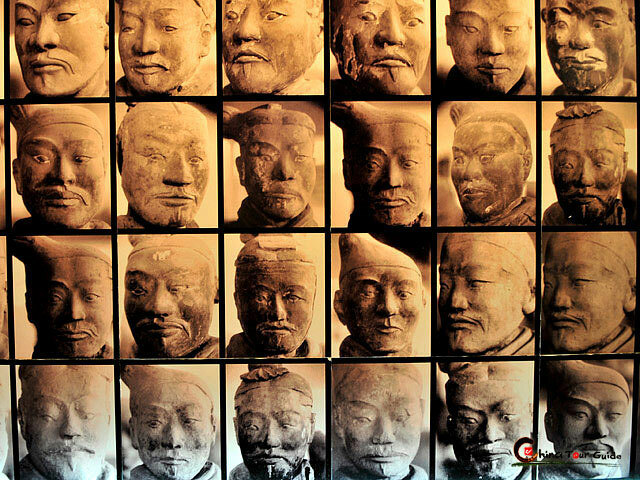 Visit the best-known Xi'an wonder Terracotta Warriors. You must be stunned by the expression-rich warriors and vigorous horses when you come face to face with them. You’ll have a feast on the gorgeous troops of terracotta warriors at pit 1, 2 and 3 along with groups of ancient bronze chariot s and horses after watching a circular-screen movie. This is the last day of your tour. Free time until transfer to the airport for your next destination. 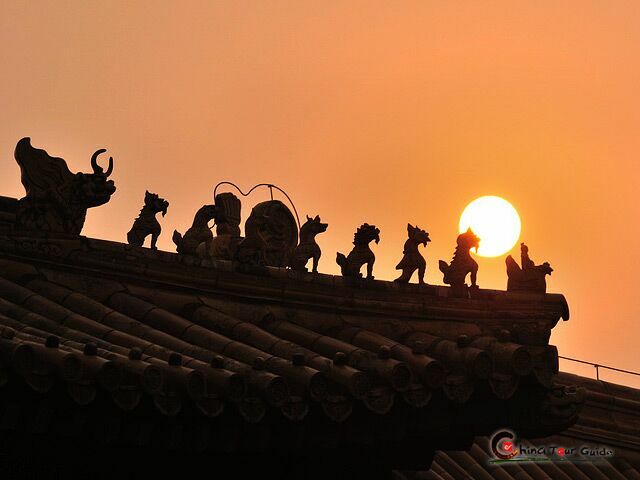 We believe you will love China and keep forever memories about China in your whole life. 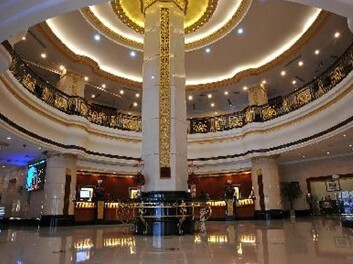 Barony Hotel Kashgar is a praiseworthy 4-star business hotel. 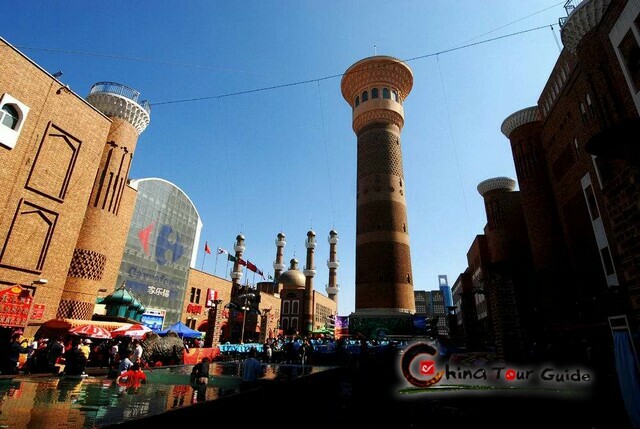 It is next to the famous Id Kah Mosque and Kashgar CBD, offering obvious traffic convenience. The design of the hotel is toned with European architectural features and the facility includes catering, health&entertainment, conference, business and leisure. 108 rooms and suites give the guests warm staying places. 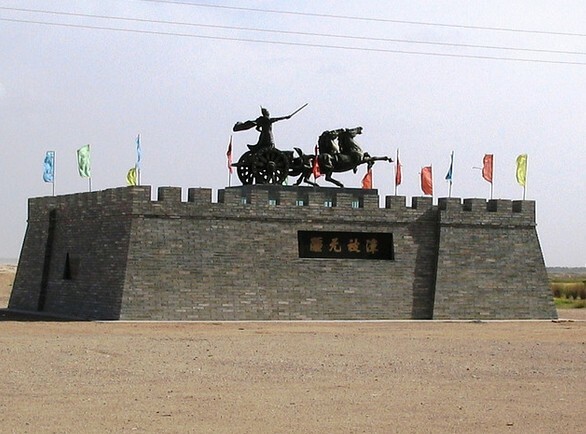 As you know, Jiayuguan is the city noted for West terminal of Great Wall. 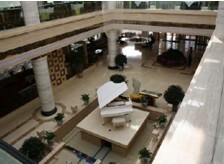 Jiayuguan International Hotel is in the new zone of Jiayuguan. 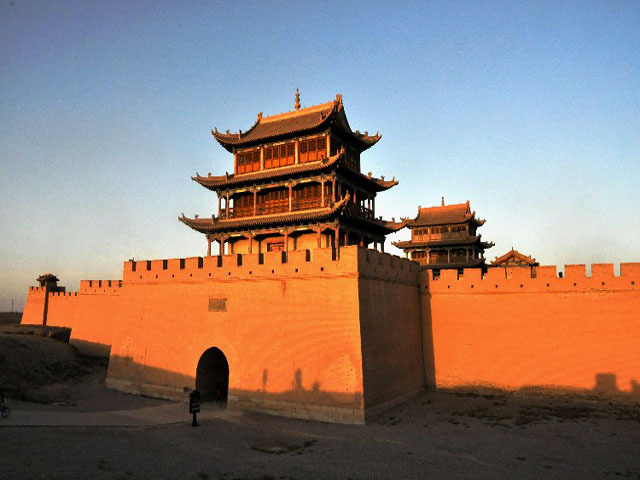 It just takes dozens of minutes to drive to the Jiayuguan Great Wall. And 20 minutes to airport. 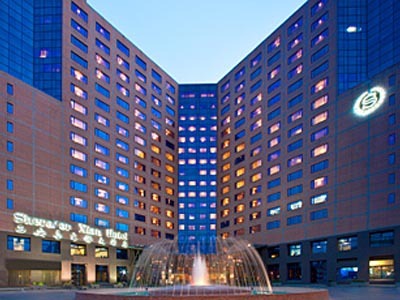 This hotel features 119 rooms include deluxe king rooms, deluxe twim room and deluxe suites. 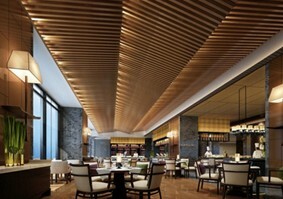 In addition the luxury decoration and design, its modernized facilities attract guests as well. 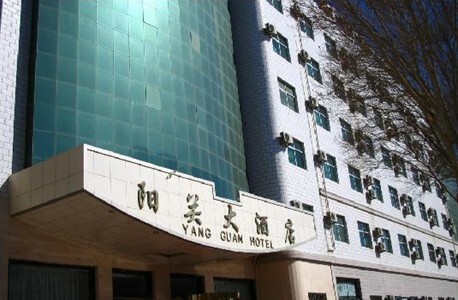 Jiayuguang Hotel is a blend of European and Asian styles. 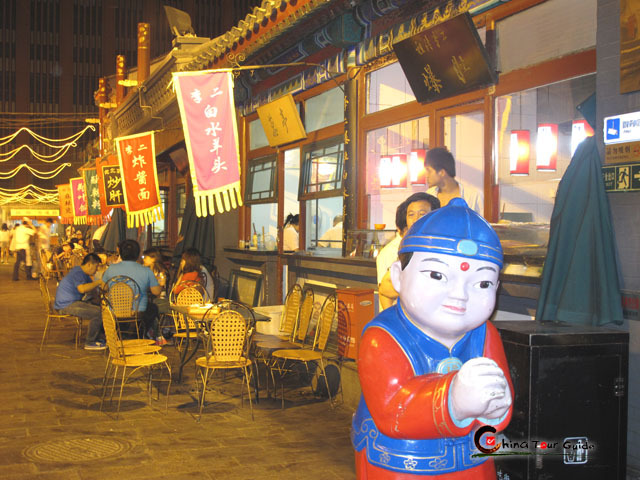 It is located in the center of Jiayuguan, convenient to many shops and restaurants. 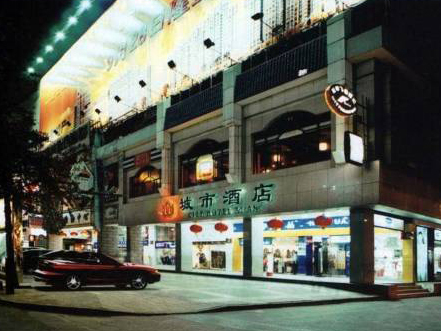 The hotel features its own shopping center, business center, foreign currency exchange, sauna, dance hall, etc.. It offers clean and comfortable accommodation rooms with free wifi in the lobby. 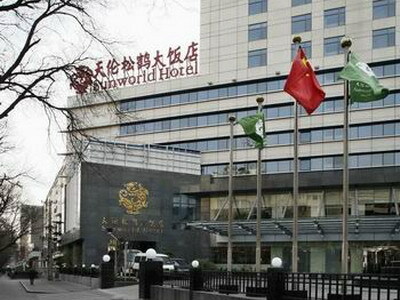 As a 5 star business and tourism hotel,Grand Soluxe Hotel was awarded as a "Forbes China Top 50 Best Business Hotel". 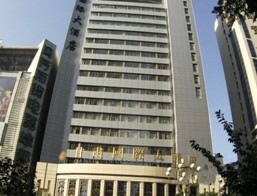 It is 5 km to Lanzhou Railway Station and 75 km to Lanzhou Zhongchuan Airport. It features various suite rooms, deluxe standard rooms, business standard and single rooms. 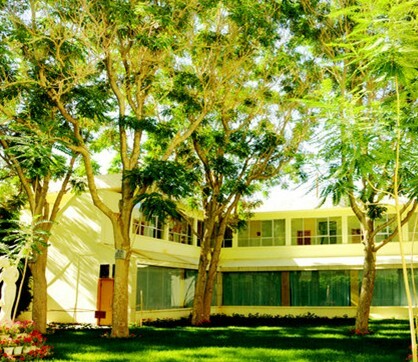 The hotel offers comfortable accommodation and unique experience for business and leisure travellers. 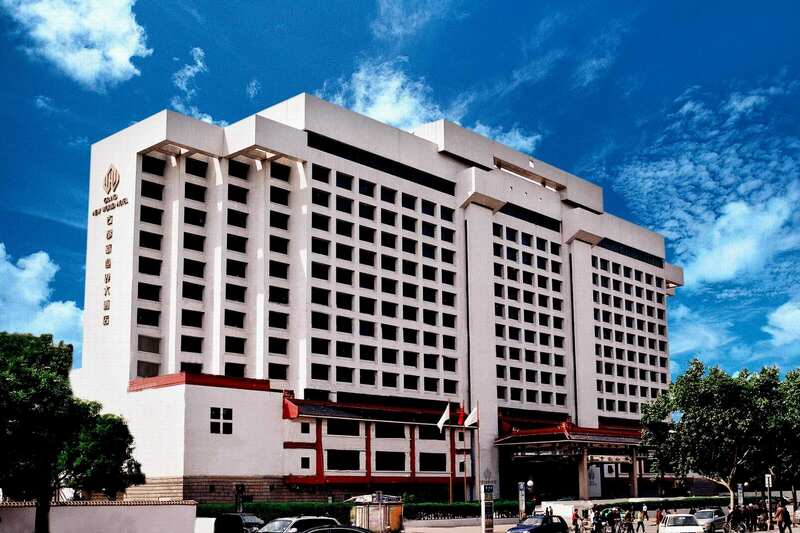 Ideal for both business and pleasure, Crown Plaza Lanzhou is just 50-minute drive from Lanzhou Zhongchuan Airport, and a short 3 km distance from city center. Upscale in style and service, it features spacious and comfortable accommodation including a luxurious Presidential Suit and stylish restaurant and bars, as well as a wide range of recreational facilities including indoor swimming pool, fitness center, Yoga, Spa etc. 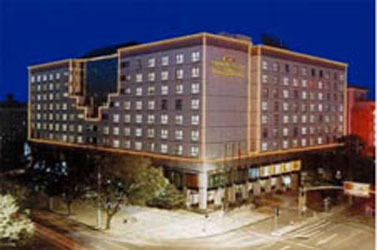 Gansu International Hotel is a 3 star hotel closely situated to the major business center. 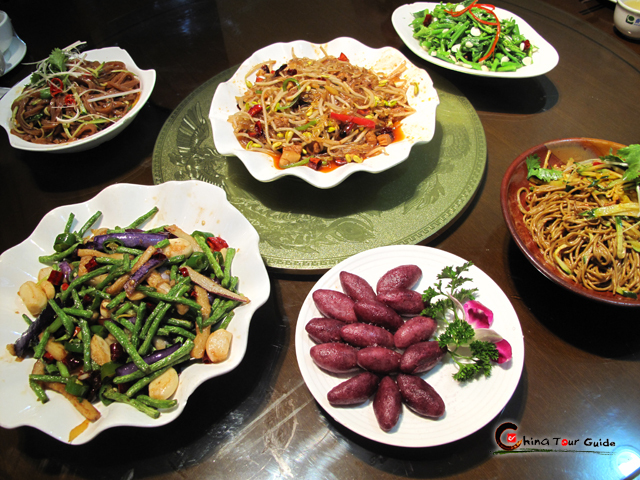 It is 5 km away from Lanzhou Railway Station and 80 km from Lanzhou Airport. 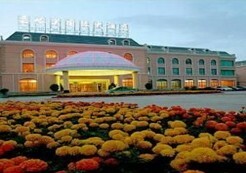 As one of the popular hotels in town, it is close to Gansu Provincial Museum, Five Spring Park, and White Pagoda. With its comfortable rooms and complete services, the hotel tries all its best to make guests feel like at home. 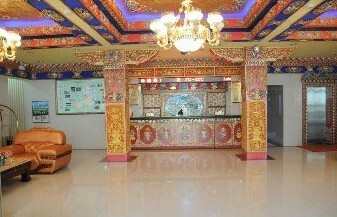 Xiahe Labrang Wangfu Hotel is centerally located in Xiahe County, Gansu Province. It is near to the famous Labrang Monastery within one kilometer. Decorated with a rich Tibetan ethnic minority style, Xiahe Wangfu Hotel houses various rooms equippend with all standard facilities and features Chinese restaurant and Tibetan restaurant. From servies to amenities, the hotel strives to make your stay a pleasant experience. Helen was very nice as a guide for us in Hong Kong. And good help in organizing other things. The car was the best of all the trip. Thank you with all your help with my health condition. I will always appreciate what the team did, which was a step forward on simply a tour. Angie was very nice, charming and knowledgable, as well as very helpful.